AZL Has The Spirit! ‘Spirit of Mulberry’, ‘Spirit of Tampa’ and ‘Spirit of Miami’! 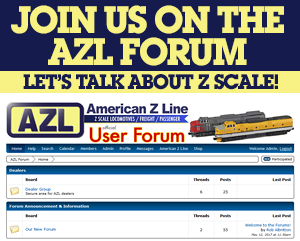 AZL has brought back their popular SD70M in all new road names. The first release of the SD70M is CSX in their ‘bright future’ paint scheme! Four road numbers are available. Each locomotive is different with prototype specific printing. Note, each locomotive comes with optional pilots.